Dr. Akinwumi Adesina, President of Africa Development Bank (AfDB), has named the headquarters auditorium after Mr. Babacar Ndiaye, the former President of the bank, who died in July 2017. Babacar Ndiaye, the Bank Group’s fifth elected President, who served two terms between 1985 and 1995, passed away on July 13, 2017 in Senegal. At the unveiling of the Babacar Ndiaye Auditorium, Adesina fondly recalled Ndiaye’s complete and passionate commitment to the development of Africa. The ceremony was attended by Ndiaye’s widow, Marlyne, and several children; former AfDB President Kantinka Dr Kwame D. Fordwor; members of the Senegalese and Ivorian Governments; representatives of the diplomatic corps; and active and retired AfDB staff members. 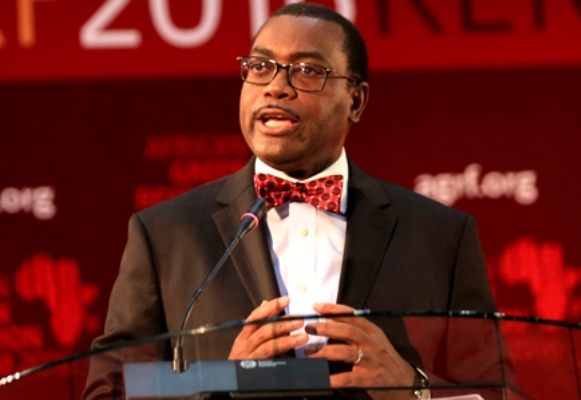 President Adesina underlined the personal ties between him and his predecessor, recalling that he knew Ndiaye when he worked for the West Africa Rice Development Association (WADRA), which was then based in Bouaké, Côte d’Ivoire. “Babacar Ndiaye was charismatic, and left an indelible mark on our continent. His legacy is vast, because he always saw the big picture. He was quite simply magnificent,” Adesina stated. Arriving at the institution in 1965 as part of the first group of African managers, Ndiaye climbed the organisational ladder to become Division Chief, Director, Vice-President for Finance, and then President in 1985. Babacar Ndiaye was the first AfDB President to be re-elected to a second term of office. The former President was the force behind the increase in the Bank’s capital in 1987, which jumped from approximately US $6 billion to $23 billion, a 200% increase, after approving the process of opening the Bank’s capital to non-African countries. He was also responsible for bringing the Bank into the international financial market. Mr. Donald Kaberuka, former AfDB President, in a message read on his behalf by Victor Oladokun, AfDB Director for Communication and External Relations, said: “Babacar Ndiaye accomplished tremendous things for the AfDB and for Africa. He always advocated for excellence. In his tribute, Alhaji Bamanga Tukur, President of the African Business Roundtable, said late Ndiaye helped to establish major pan-African institutions, such as the African Import-Export Bank, Afreximbank; Shelter Afrique; and the African Business Roundtable. “Without Babacar Ndiaye, African industry leaders such as Aliko Dangote or Michael Ibru would undoubtedly not be where they are today. “Babacar Ndiaye invested his faith and perseverance in Africa’s business community. We will be eternally grateful to him,” he said. Mr. Christopher Edordu, founding President of Afreximbank, highlighted Ndiaye’s visionary approach, which allowed him to look beyond the era’s Afro-pessimism and embrace opportunities to finance African businesses. According to Edmond Adikpe, Shelter Afrique’s regional representative, “Babacar Ndiaye knew how to anticipate. He understood early on that Africa must address the problem of housing. Mr. Alassane Ndiaye, son of the deceased, who spoke on behalf of his family, thanked the Bank for taking the initiative to hold the ceremony to honour and pay tribute to his father. “The entire family is proud of and thankful for this ceremony. What you have done today touches us deeply and we thank you from the bottom of our hearts,” he said.